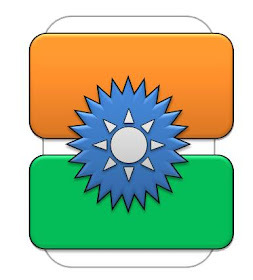 [SOLVED] Error : "Fake Version Parameters Found"
Anop Hindi Typing Tutor is a freeware Typing Tutor tool to learn Typing in Hindi Language using devlys font style. After the suggestion and valuable comments on previous release of Anop Hindi Typing Tutor, Latest Release of Anop Hindi Typing Tutor 2.0 is launched for users to be practice and start learning the Hindi Typing. In this version 2.0 of Anop Hindi Typing Tutor an error "Fake Version Parameters Found" is shown some time when user reinstall the application or doing some non-perform-able things with core files of Anop Hindi Typing Tutor. If you are getting this Error continuously then don't worry. After installation of Debug Tool you will get these file. If you have installed the Anop Hindi Typing Tutor at different location rather then default location "C:\Program Files (x86)\Anop Hindi Typing Tutor\Anop Hindi Typing Tutor 2.0\". 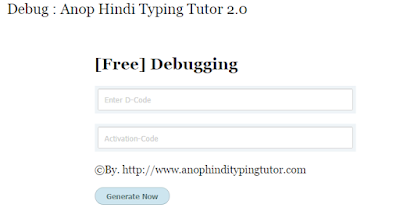 Set installation Directory of Anop Hindi Typing Tutor 2.0, if you are using default location then Debug Tool automatically scan the directory and required files [No action Needed]. Click on "Generate D-Code" button to generate your Debug-Code and then Click on "Find Online[Free]" button to search "Activation Code". 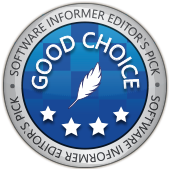 this is completely free of cost and required Internet Connection to navigate this Page. After navigating this Debug-Page URL you can generate Activation Code of your desired "D-Code". If Activation Code generate by the Page is not Work then Please Generate once again New Activation Code to be debug. If you have tried many times and not getting success to generate Activation Code then drop an email on "anopchaksu@gmail.com" with your "D-Code = XXXXXX". 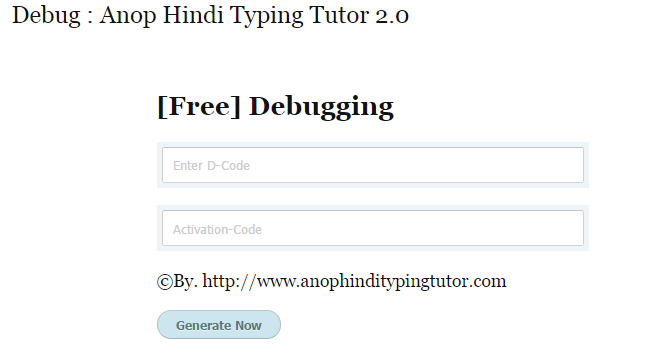 Kindly find [[Click Here]] to Download Debug Tool Application for Free Anop Hindi Typing Tutor Tool. Thanks alot, it really works.